What is being called the “Sitting Disease” has more to do with your health than just gaining weight. Hours spent at work means you are burning less calories that is true, but there are BIGGER and more sinister health risks. Long periods of sitting is interruption to the more desired and natural blood and lymphatic circulation rhythms. It also keeps your internal organs in a knotted up state – especially if you are slouching a lot of the time. As a matter-of-fact, sitting for most of the day also has a negative effect on even those folks at the office who DO stop at the gym on the way home, or jog in the mornings. 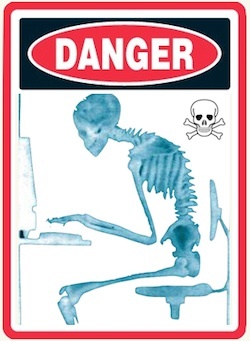 Simply put – sitting for long periods is BAD! So bad that even if you do exercise for the recommended (by most government health authorities) 30 – 60 minutes a day, your health risks being negatively affected. This doesn’t mean that your evening or morning workout is no good, it means you cannot erase the 8 – 10 hours you spent in a chair all in one shot. The good news is, the world is beginning to recognize the need for activity among “knowledge workers”. 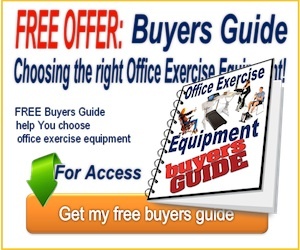 Equipment and office fitness programs are now being introduced to the workplace. It is taking some time but it is happening. If your boss is being difficult or is a prude when she or he sees you stand and stretch, just remember – 20 years ago the person in the cubicle next to you was smoking. If they lit up now, they’d risk being fired. Things do change with time. The number of hours spent sitting have increased over the past couple of decades. People live further from their workplaces meaning up to 4 hours of additional sitting from commuting. Email has replaced the delivery of messages where people used to get up from their desks to relay information to other departments. As well, it has become acceptable to eat at your desk instead of taking a lunch break. Not moving all day also contributes to not moving at night. Going home to sit or lay on the couch is usually the way most people end their work day. Believe it or not, this is a normal response to inactivity. The less moving a person does, the less they want to do. Obesity is on the rise, heart health is at risk, diabetes is becoming prevalent, normal metabolism is sabotaged, lungs are not being used, and everything is starting to become sluggish and decay. Your muscles are also being abused by non-use. The leg muscles which are the largest in the body – need only a few exercises for them can jump-start your body into a calorie burning machine. Instead these muscles are beginning to atrophy. Flat bottom, weak body, chronic indigestion, frozen shoulder, and for some – death! Long periods interrupt the circulation and can cause thrombosis. This is where blood will pool and clot in a blood vessel. These clots can start in the legs and migrate to other parts of the body like your heart, causing a heart attack, or your brain – causing a stroke. One woman did make the headlines after her death from sitting disease because her family did file a workers compensation claim and won. Unfortunately the ruling was overturned on appeal. With all these risks known why aren’t company’s doing something about it? Some are. The large companies like Google have walking desks and standing desks. 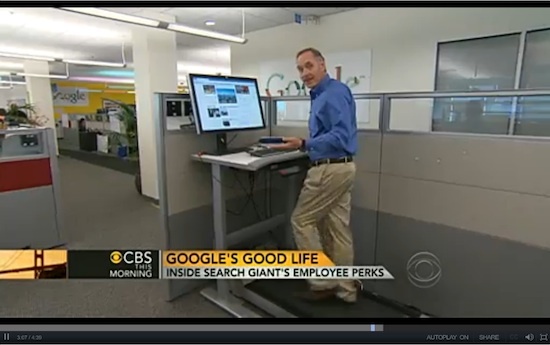 One report by CBS show the inside of Google Headquarters where they are very conscious of their workers health and work to increase their productivity to a guesstimate of up to 30 years. These are also increasing in popularity among the executives who can afford to buy them and turning into “status” pieces of furniture. But, what about you? Where is your walking desk? It seems it is still up to you (for now) to manage your own health in the battle against sitting disease. A standing desk isn’t the absolute answer either. Standing for long periods of time has it’s own health issues. Blood pooling in the legs, lower back pain, and if the workstation isn’t set up properly for your tasks you can have neck pain, eye strain, shoulder stress, migraines, and more. The alternative to this is to have a workspace you can easily adjust the height and comes with a style of chair that is only a semi-seated position. The Focal Upright Furniture company have designed an excellent ergonomic workstation designed to be the best of both worlds. 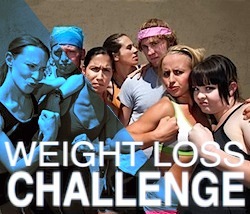 First – take responsibility for your health. Second – find ways to move about during your work day. If you have a putz for a boss, you may have to exercise in secret. Finding Opportunities to Exercise in Your Work Day. Think of this as “Sitting Interrupted”. Set your timer for 20 minutes. When it goes off, stand up and take a big drink of water. Stretch your arms, touch your toes, twist from left to right. Walk to the bathroom and when you get there, if you don’t have to go you can do high knee lifts and walk in place for a full 60 seconds. Breaking up your sitting time doesn’t have to be a big show. The whole process can take only a couple of minutes and hardly noticed by anyone. If you have the support of management then you can probably do more while you are working too. 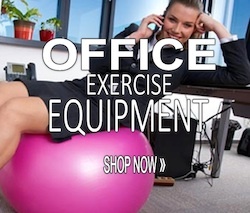 Having your company support means you can have exercise equipment under your desk that you can operate throughout your work day. Use this in combination with your 20 minute stretch / standing / walk breaks and you’ll be in pretty good shape. When the phone rings, stand to answer it. During meetings, stand at the back. If you are reading – stand and high knee march in place. While seated lift your leg straight out and raise your thigh off the chair. Hold until you can’t. Do both legs. Do chair squats. Stand, sit, stand, sit, stand, sit. 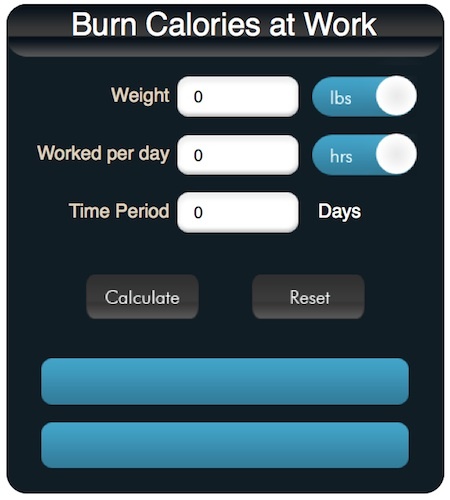 Check out the differences for standing and sitting for yourself using this Calories Burned Calculator for Standing vs Sitting.